There’s no doubt that the practice of working at home is on the rise. According to data from the Survey of Income and Program Participation, in 1997 just 7% of workers (9.2 million individuals) reported working at home at least one day a week. By 2010, that total had grown to 9.4% (13.4 million), an increase of more than four million or 35%. The geographic distribution of those workers who primarily work at home (most days) shows interesting geographic clustering. Using data from the 2012 Census Bureau American Community Survey, the map above maps the share of the workforce (age 16 and over) who report working at home. The highest shares are found in the West, the Northwest, the Upper Midwest and New England. The state of Vermont has the highest share (7.1%), followed by Montana (6.5%), Colorado (6.5%), and Oregon (6.3%). Louisiana has the lowest share at 2.3%. 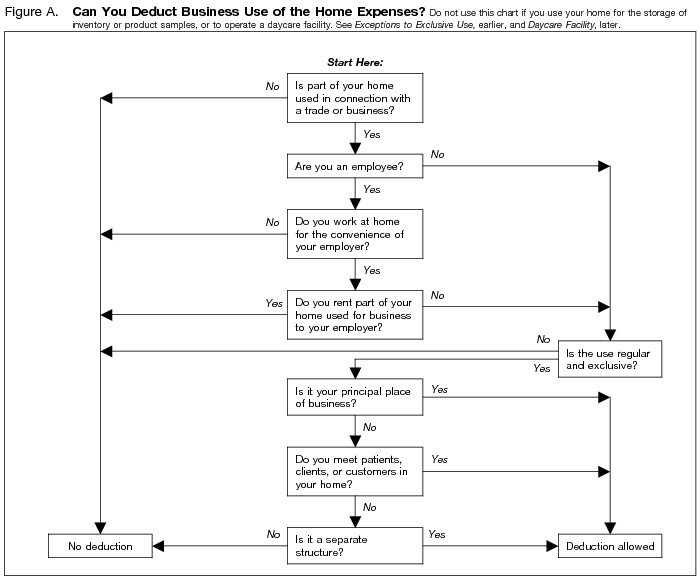 Recent industry-specific IRS data (2010) for the home office deduction for independent contractors and sole proprietorships (Form 8829) (not telecommuters) provides a sense of who is using space in their home for a dedicated office. Overall, according to IRS data for tax year 2011, $9.8 billion in home office expenses (insurance, rent, repairs and utilities) were claimed on IRS Form 8829. The deduction is split into two classes: direct expenses related to the actual office and indirect expenses that apply to the home as whole and are only partially deductible. Approximately 6 out of every 7 dollars claimed as a deduction originate from this indirect class. 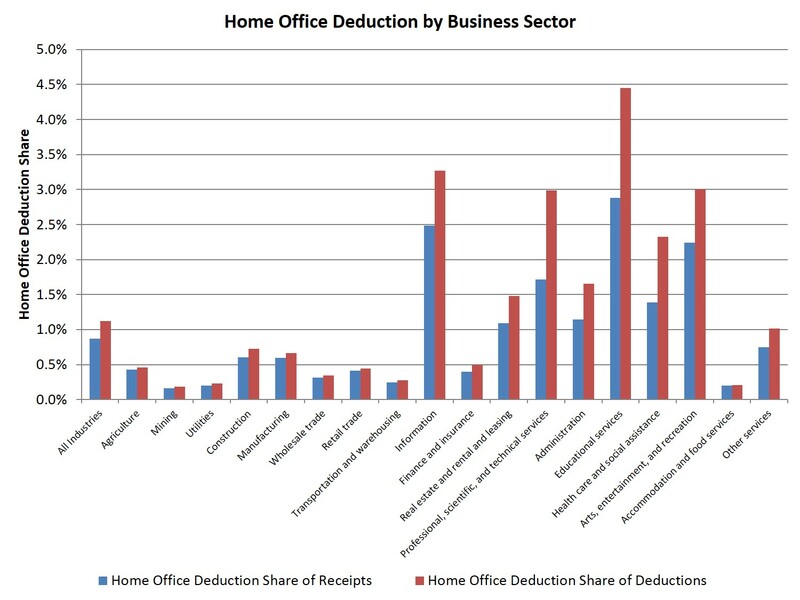 An additional $1.3 billion in home office related depreciation deductions was claimed in 2011. From a tax law perspective, two relatively recent key changes are worth noting. First, in 2013 the IRS provided a simplified method for claiming the deduction, which can save taxpayers time in filing the required form. Under this approach, taxpayers may claim a $5 per square foot of home office space (up to a maximum of 300 square feet), other expenses such as mortgage interest and real estate taxes are claimed on Schedule A, and no depreciation deduction (or future recapture) is allowed.